Our guide reviews the challenges of marketing in the professional services world including accountants and legal firms, and explains why inbound marketing should be part of the marketing strategy for any professional services firm. 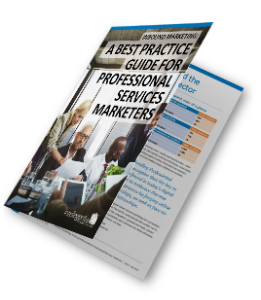 The guide concludes with a useful checklist for implementing these tactics to boost the results of Professional Services Marketing. Get our best practice guide!